I started writing Love After War sometime in April or May of 2013 (I facebook stalked myself on my other page to get an approximate date). I don't remember when I finished (Not as much luck with the facebook stalking on that end, but I also quit trying), let's shoot and say I finished around August or so *shrugs*...regardless of when I finished writing it, it didn't get published until 2015, nearly two years later. And that is when you all got your first glimpse at Vicki Grey. Her 'onscreen time' was short, but it was major (no spoilers here! Go read the book). She popped up again in Love's Taken Over. Totally unexpected, but I was glad to bring her back for the small cameo and of course it made readers clamour for her story even more. Back when I wrote my post on Noble Surrender, I talked about how much anxiety I had over writing Vicki's story. I've only dabbled in the romantic suspense genre before and I always knew that this story would be a bit (okay, a lot) heavier with that element. 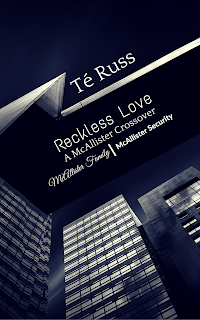 Victoria Grey's story has been a highly anticipated one for over a year now. But it's taken me a couple of years to build up the...gumption to finally dive in and write the story. Well I finally dove in with both feet and yesterday I wrote 'The End' on Vicki Grey and Dex McAllister's story. For those who are not yet aware, this story is a crossover of sorts. 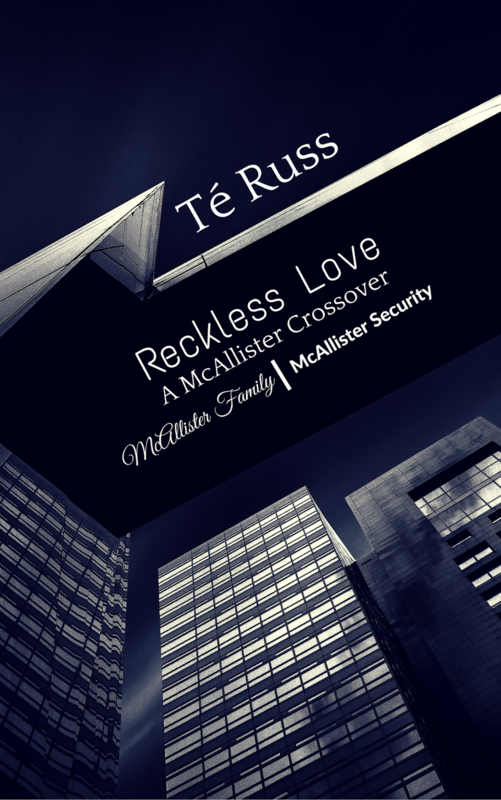 It's both a McAllister Family story as well as a first, or introductory, novel to a new series, McAllister Security (I already have my next couple for that series lined up, you will meet them in Reckless Love). So it's kinda book 7/book 1. Anyway, I've gotten great feedback from my betas and I'm truly happy with the story. I think part of the reason that I struggled in the beginning was because I had ideas from years ago that I wanted to incorporate in the story. But with going through several evolutions in my writing since I first wrote Love After War, those ideas were no longer panning out (And to be frank, I don't think this story would have been nearly as good (if I do say so myself) as )it is now, had I not gone through the aforementioned series of evolutions). So I had to start from scratch. I had a very difficult time letting of those original ideas and starting fresh. Once I stopped being stubborn, I got to work. And I hope I have done you all proud and made this story worth the wait. Next up, I'm going back to Sweet Rapids with Isabella (Izzy) Noble. I can't wait to read it either!!! I'm so super excited you stepped out of your comfort zone.